This morning saw the start of something special, HHTP in the morning! Not just morning, I mean early morning at 6.45am! A few of us (including me) kept waking up from about 5am, worried we were going to miss it! It was a busy class, with lots of new faces, and a few familiar ones. We kicked started the morning with a with Fitness Test, which they all coped with well. The next one in 5 weeks should bring some interesting results as they get fitter. If you are interested in freeing up your evenings, then join us for HHTP at 6.45am, or register your interest for the 6am class. 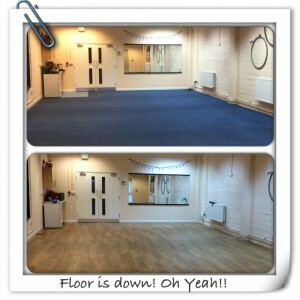 Last weekend the Purity Studio Andover saw a big change! 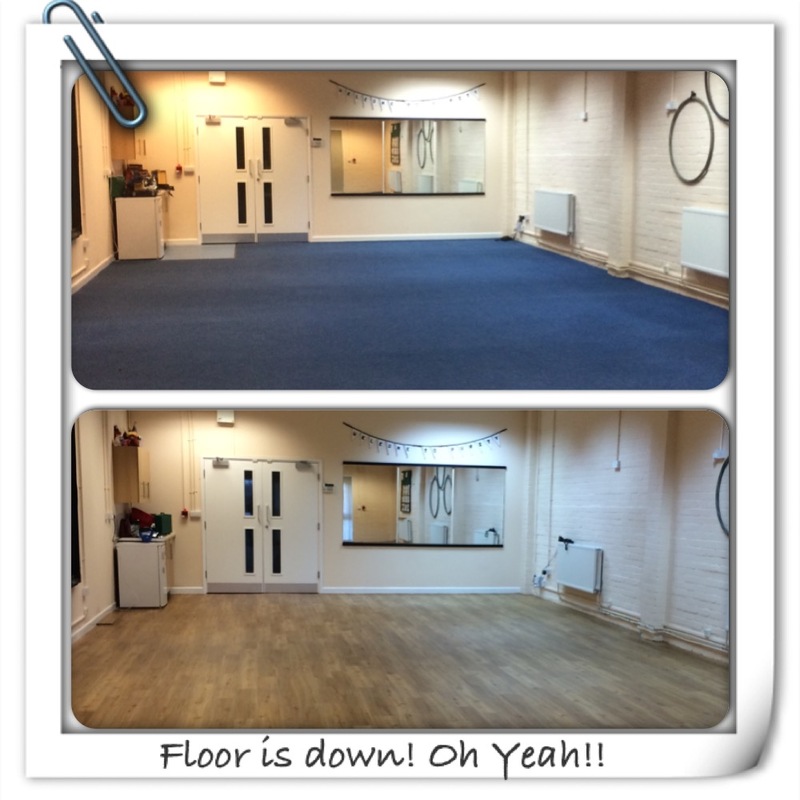 We had a beautiful new floor put down! No more blue carpet, the studio now looks bigger and brighter. 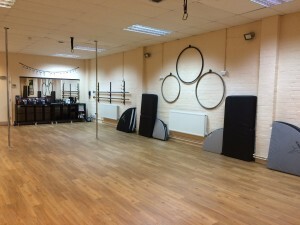 Floor to ceiling Xpoles have now gone in ready for the pole dancing classes, 4 are currently up, and we are having new beams installed soon, so we can have 7 poles. 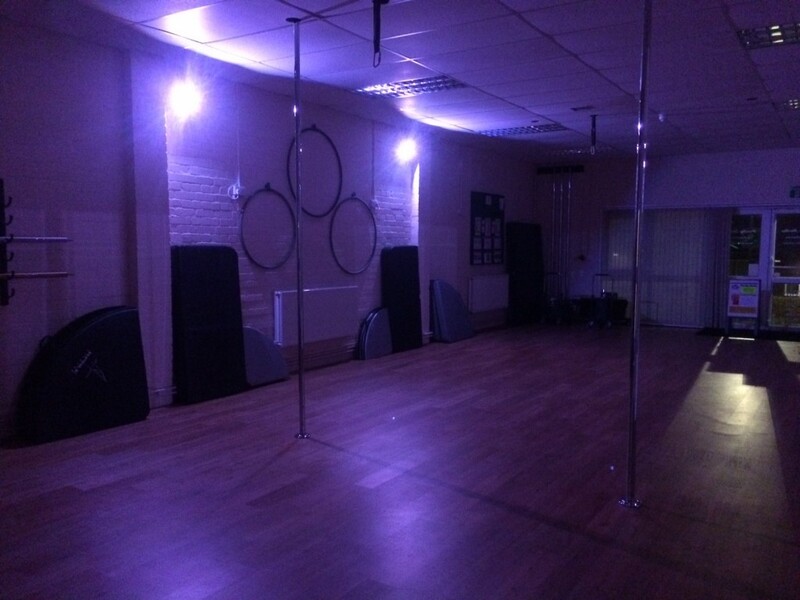 Remember all our classes are only 1 student per pole, to give you the best pole time! Half Hour to Power and Hoop have now christened the floor, everyone is enjoying it! INSANITY is coming to Andover! I am bringing INSANITY to Andover for a FREE launch on Tuesday 8th July 2014. This is a full on plyometric power workout, suitable for all levels of fitness, as modifications are given out on all exercises. This is interval training, so prepare to work yourself to the max! Spaces can be booked by contacting Jolene through the site, or by calling 07961 054 863. Advance bookings only, as spaces are limited. Call 07961 054 863 to book!